During this term, every class’s curriculum is based on related themes from the chosen play. Classes also work together to produce part or the whole play which is then shared with the rest of the school and the wider community in an ‘Exhibition Week’: Reception, Year 1 and Year 2 work together and re-tell a section of the play through dance, song and rhyming couplets; Year 3 and Year 4 work together to re-tell another part of the play, also through song, dance and some verse; Year 6 perform an adaptation of the entire play, including original dialogue, with Year 5 supporting them in the choreography. The penultimate week of the spring term is a celebration of all the work by everyone, where all classes watch and support one another and display work in a whole school exhibition. This year, spring 2019, the play is A Midsummer Night’s Dream. In spring 2018, the play was The Winter’s Tale. In spring 2016, the play was Macbeth. In spring 2015, the play was Hamlet. In spring 2014, the play was Romeo and Juliet. 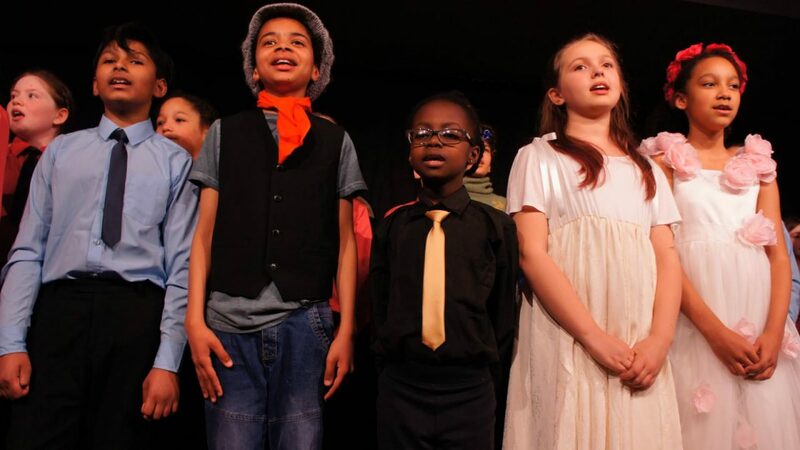 The school also works in close partnership with the Primary Shakespeare Company, with Year 6 taking part in their annual primary schools festival. For more information visit the Primary Shakespeare Company website.